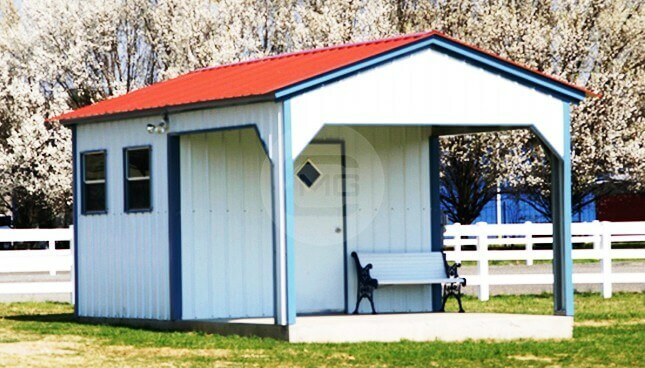 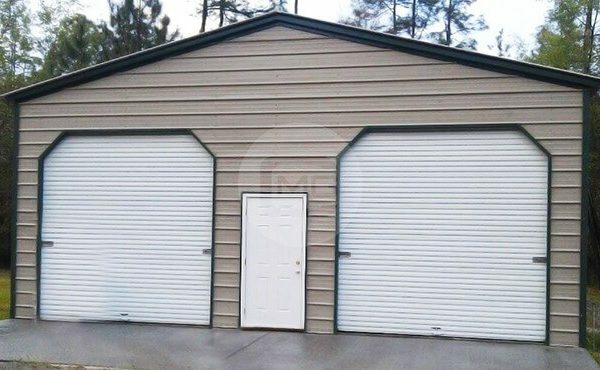 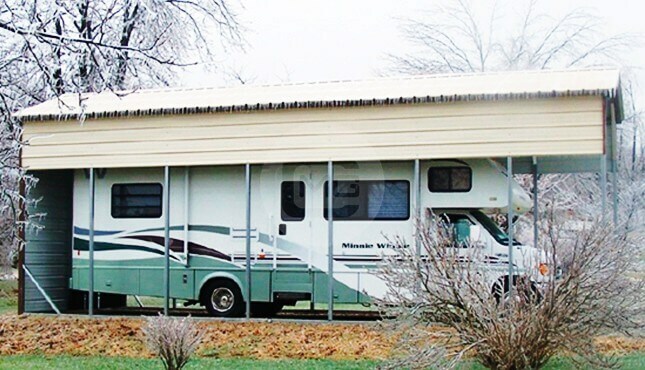 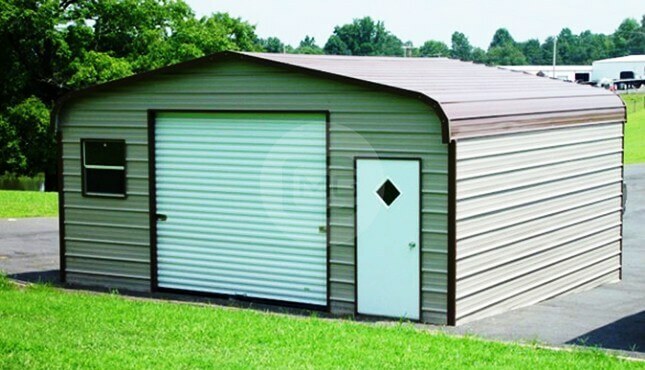 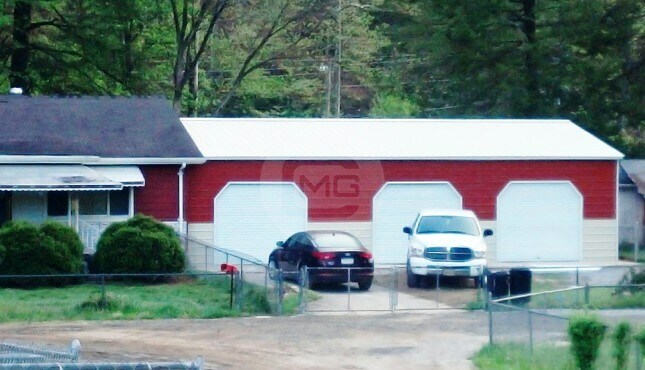 This 22x21x9′ 14-gauge steel A-Frame garage features a boxed eave roof, two roll up garage doors, and a walk-in door offering easy access for you and your vehicles or equipment. 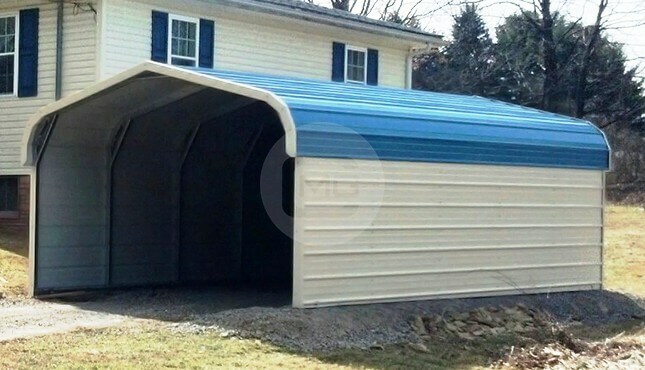 The horizontal side panels offer a consistent look to that of a home. 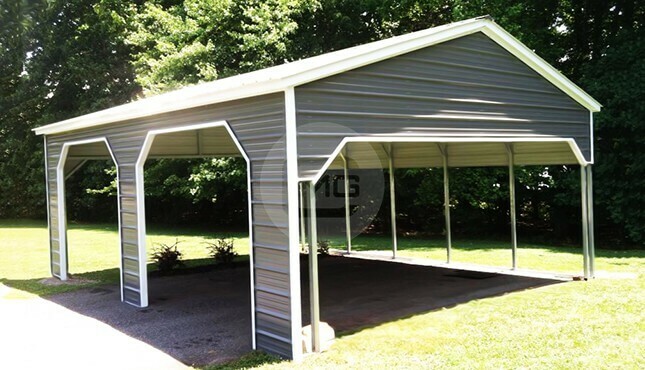 The A-frame roof panels are horizontal, which are more economical than vertical roof panels. 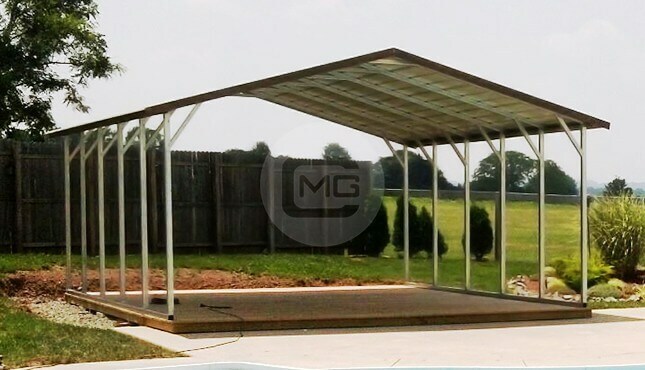 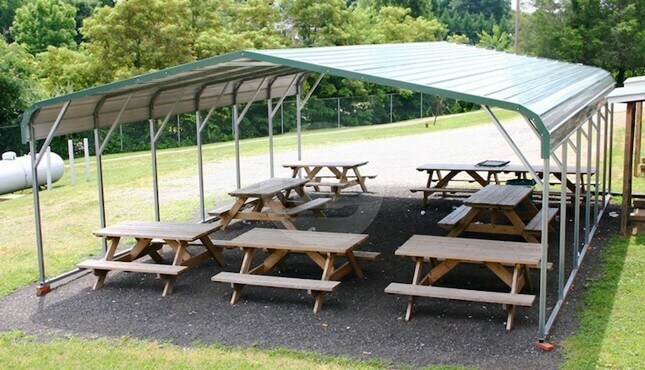 This roof type is ideal for areas with some heavy winds that don’t receive heavy precipitation.